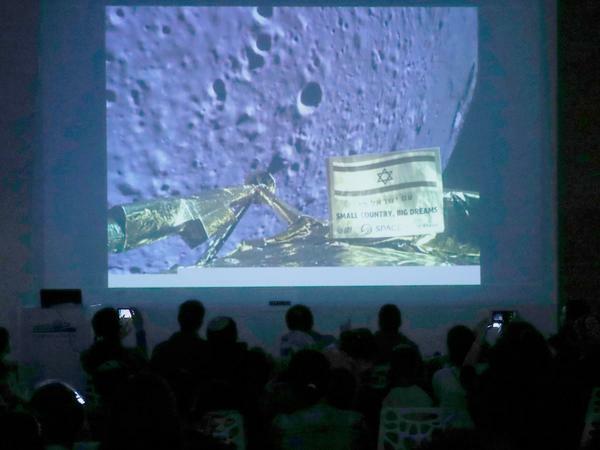 The Beresheet lost its main engine and communications with Israeli support technicians in the final minutes of its scheduled moon landing. The SpaceIL craft "definitely crashed on the surface of the moon," said general manager of the space division of Israel Aerospace Industries, Doron Opher as quoted by the Associated Press. He said scientists are trying to determine what caused the engine failure, dooming the spacecraft to travel too quickly to land safely. The robotic moon lander was built by the non-profit SpaceIL and state-owned Israel Aerospace Industries. "We will try again," said Israeli Prime Minister Benjamin Netanyahu, vowing to make a successful moon landing in the next two years. Space programs in only three nations — the U.S., Russia and China — have successfully landed spacecraft on the moon. The Beresheet was launched from Cape Canaveral with the aid of a SpaceX Falcon 9 rocket in February. Beresheet is Hebrew for "in the beginning." The failed landing was viewed nationwide in Israel and the U.S. space agency NASA also broadcast the landing mission live on its dedicated TV channels, as well as online. "While NASA regrets the end of the SpaceIL mission without a successful lunar landing of the Beresheet lander, we congratulate SpaceIL, the Israel Aerospace Industries and the state of Israel on the incredible accomplishment of sending the first privately funded mission into lunar orbit," said NASA Administrator Jim Bridenstine in a statement. "Every attempt to reach new milestones holds opportunities for us to learn, adjust and progress. I have no doubt that Israel and SpaceIL will continue to explore and I look forward to celebrating their future achievements."